When the Golden Wattles bloom. 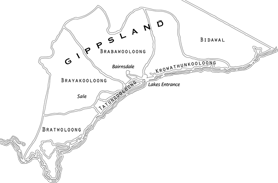 The Park is located beside the Princes Highway at the eastern end of Bairnsdale, across the Mitchell River. It has a range of facilities for the motoring traveller. 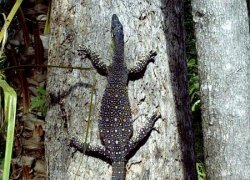 When the golden wattles were in bloom it told the people that it was time to harvest the eels which were plentiful and fat at that time of year. Some of the women put finishing touches on baskets woven from cumbungi reeds. These were used for collecting fruit, roots and mussels. The baskets were very durable and could last for up to one hundred years. On a small rise overlooking Wahyand (Mitchell River) the men made a canoe. The 4m long scar made when the bark was peeled away can still be seen on the tree in Howitt Park. It is believed that this tree is approximately 170 years old. 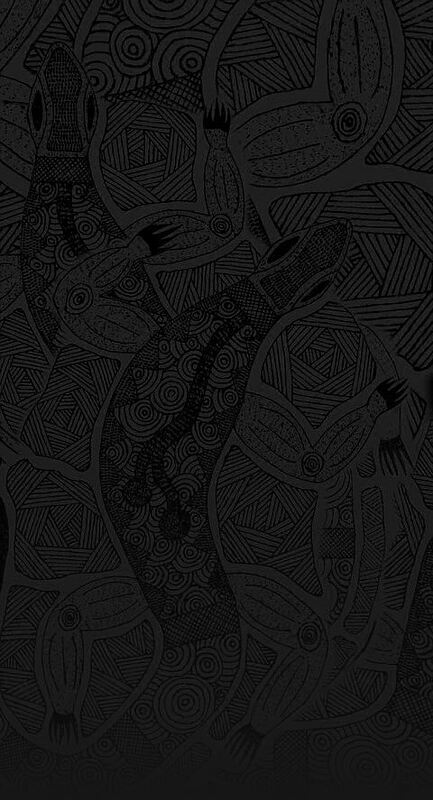 The scarred tree at Howitt Park is a canoe tree and is protected under the Aboriginal Heritage Act 2006. The stand out features are the height and size of the scar on the tree. 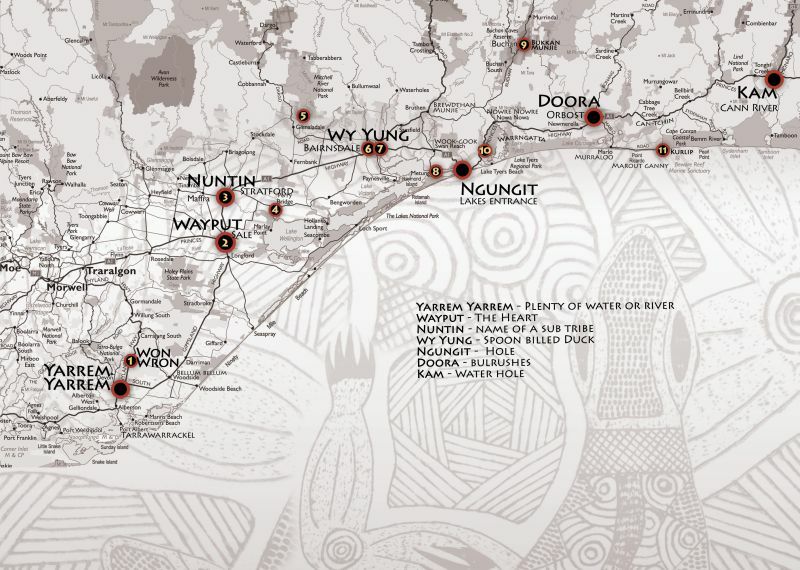 Brabawooloong is one of the five clans of the Gunaikurnai. 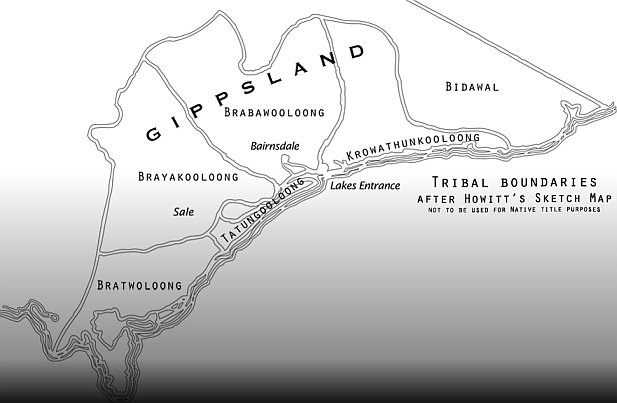 Brabawooloong occupied the Bairnsdale to Lakes Entrance area with Tatungooloong, then from Bairnsdale up to the Great Dividing Range. Please treat all sites along the trail with respect and care to ensure they are preserved for future generations. 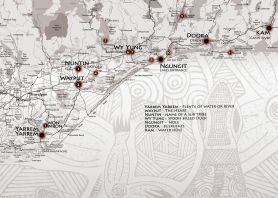 Development of the Bataluk Cultural trail is a joint initiative of the Far East Gippsland Aboriginal Corporation, Gippsland and East Gippsland Aboriginal Co-operative, Lake Tyers Aboriginal Trust, Moogji Aboriginal Council, Ramahyuck Aboriginal Corporation, East Gippsland Shire Council and Wellington Shire Council.